It's this month's Your Next Stamp Feature Day and we are having Christmas in July! 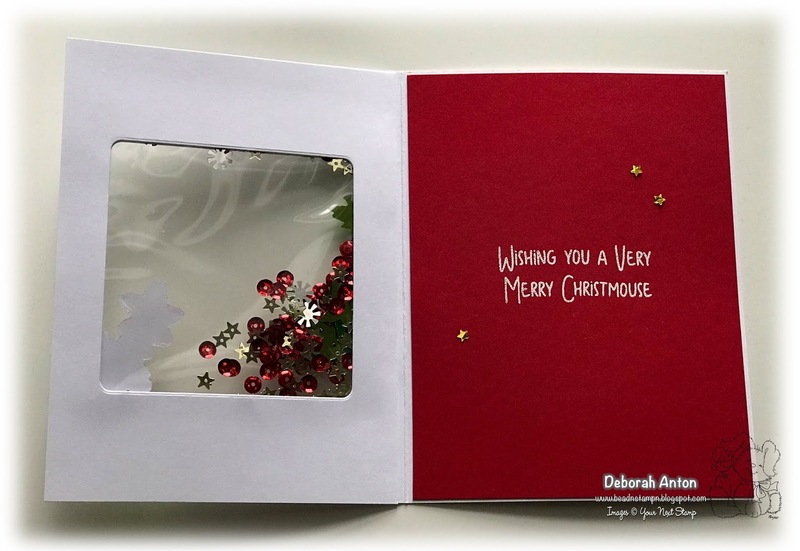 It's never too early to get some ideas for the holiday season and the YNS DT is here to share their fabulous creations. 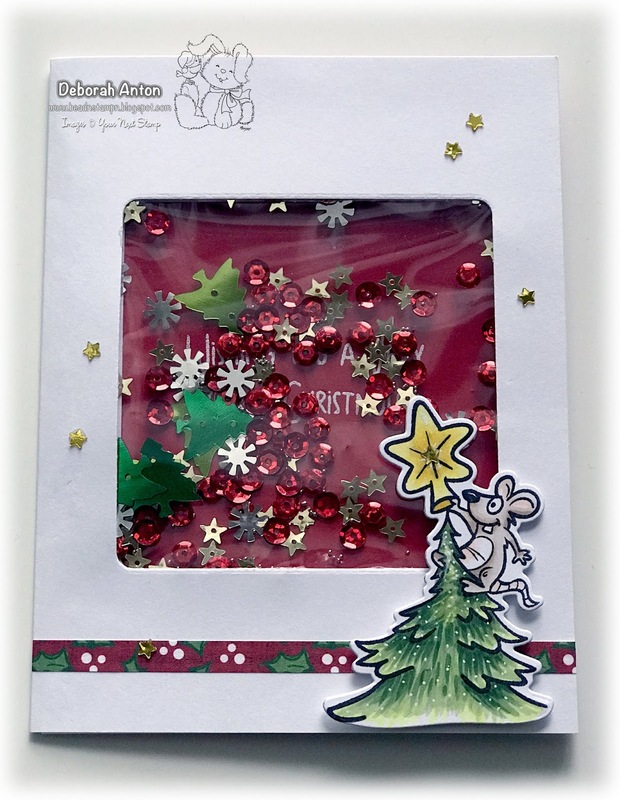 I decided to make a shaker window card using the super fun and cute Merry Mouse Joyful Greetings. Using the Square Piercing Die set from YNS, I cut out the window on the card base and cut out a matching panel for the inside to place over the window for a cleaner look. I colored and cut out with the coordinating dies this adorable image to be popped up over the window partially after adding a small strip of patterned paper to the bottom. I finished the outside of the card by adding some small gold star sequins throughout. To create the window, I used a small clear envelope to add the sequins and closed it up using my heated fuser tool. The inside was layered with a red cardstock panel heat embossed in white the sentiment from the set. Again, a few gold star sequins were added to finish it. Be sure to stop by the YNS Blog to see all the wonderful Christmas creations and don't forget to leave a little love. A random comment will be chosen and you could win a stamp set of your choice! Thanks for stopping in and hope you have a great Sunday! Love your shaker card and the colours that you chose! The mouse is super adorable too!